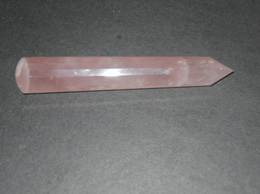 The Rose Quartz Wands are beautiful pink wands used for meditation and healing. 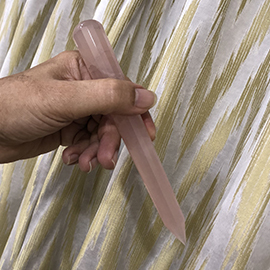 Rose Quartz is a stone of love. It works on the Heart Chakra. It helps in attracting all forms of love such as self, family, friends and romantic. It helps in healing a broken heart. It also lowers stress and increases self confidence.